Java ponies were developed on the island of Java in Indonesia. Most likely they are descended from wild forebears of Mongolian Wild Horses. There are eight breeds native to Indonesia, the others are the Batak Pony, Gayoe, Deli pony, Bali Pony, Sumba, and Sumbawa Pony, and Timor Pony. The Dutch East India Company played a part in the development of many different Indonesian breeds through their introduction of oriental horses. Their first factory was established on the island of Java during the 1500s and from that time on they have imported harness and pack horses. A large part of the Java's heritage is due to the crossing of local stock with Arabian and Barb horses that were imported. The average height is about 11.2-12.2 hh. They are found in a variety of colors. The Java Ponies are a robust breed noted for working ability and endurance. The lightweight conformation of the breed is well-adapted to the tropical climate of Indonesia. They are tough and wiry. Their light frame may be due to nutrition deficient diets. The Java is not unremarkable, with a slightly attractive head with long ears and lively, expressive eyes. Their necks are usually quite short and very muscular, and the withers are pronounced, the shoulders reasonably sloping, and their chests deep and wide. They tend to have long backs and a slightly sloping croup with a high tail-set, probably reminiscent of their Arabian ancestry. The legs of this breed are poorly formed but surprisingly strong. They have fine bones with poorly developed joints and long cannon bones, and their feet are hard and tough. The Java Pony is primarily used in agriculture in rural areas and for the transportation of passengers and goods in the cities. They are privately bred throughout the islands, though breeding is in many cases subsidized by the state, and ponies on various islands of Indonesia have noticeable differences in breed characteristics. Today's Java pony is not startlingly similar to the Arabian in conformation but does seem to have inherited the Arabian's desert nature and remains highly resistant to heat. It also has inherited the incredible endurance and stamina from the Arab, and in spite of its small, weak-looking frame, can wok relentlessly all day in broiling heat. One of these ponies' main jobs is pulling sados, which are a type of horse-drawn Indonesian taxi. They are often piled high with both goods and people but the Java ponies pull them with little apparent effort. They are also quite useful as pack ponies and for riding, and are used for both professions on the island. 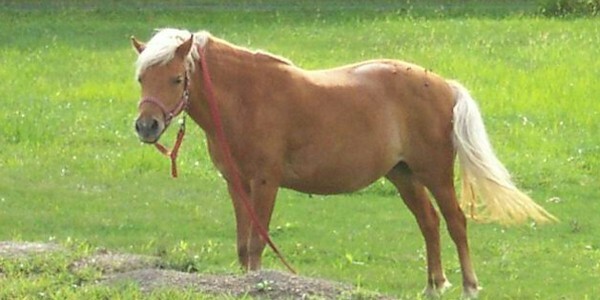 Unlike other Indonesian breeds, the Java pony is often ridden with a wooden saddle that has quite extraordinary stirrups. The stirrups have a piece of rope with a loop in the end through which the rider puts his toe. The Java ponies are very willing, quiet, and they have very good temperaments.